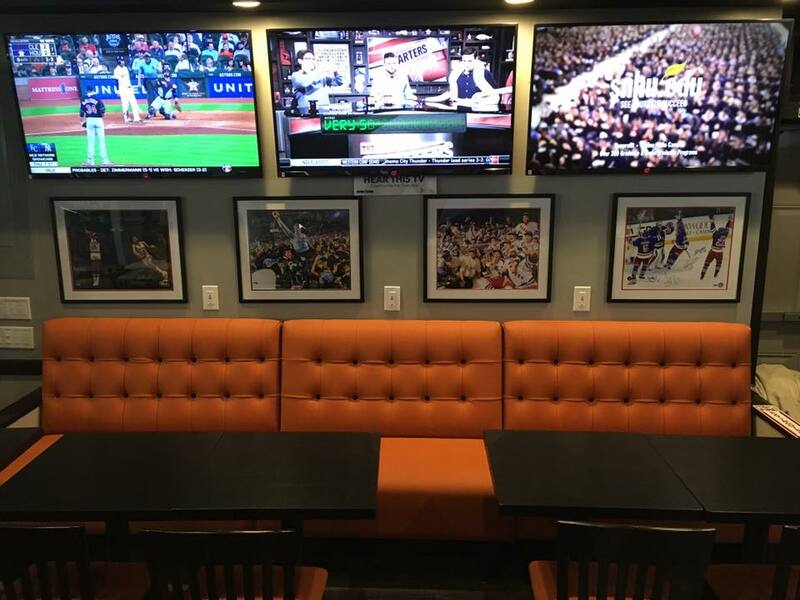 One of the many kosher sports bars opening up around the NY metro area this year, Courtside Grill is set to open in early June. The kosher sports bar has 100 seats upstairs and a private room downstairs that can seat an extra 40. 36 large screen TVs will showcase up to 9 different sports games simultaneously, including local Yeshiva sports games. Courtside is expected to be open daily for lunch & dinner, with lunch specials appealing to the local HS students. Alcohol will not be served until after 4pm. Hours are Sunday – Thursday 11:30am to 1:00am, shorter hours on Friday, also open late Saturday nights. Below is a sneak peek at their restaurant which was totally redone and customized from the previous kosher restaurant. Kashrut supervision under the Vaad of the Five Towns.